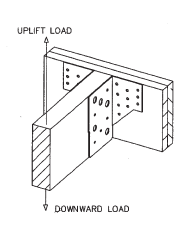 1) Values are based on 1 1/2˝ header Joist thickness and 1 1/2˝ Joist thickness. 2) Can only be used in Non-HVHZ for uplift loads. 1) Use all specified fasteners in schedule to achieve values indicated. 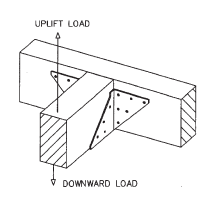 2) Values are based on 1 1/2˝ header Joist thickness.